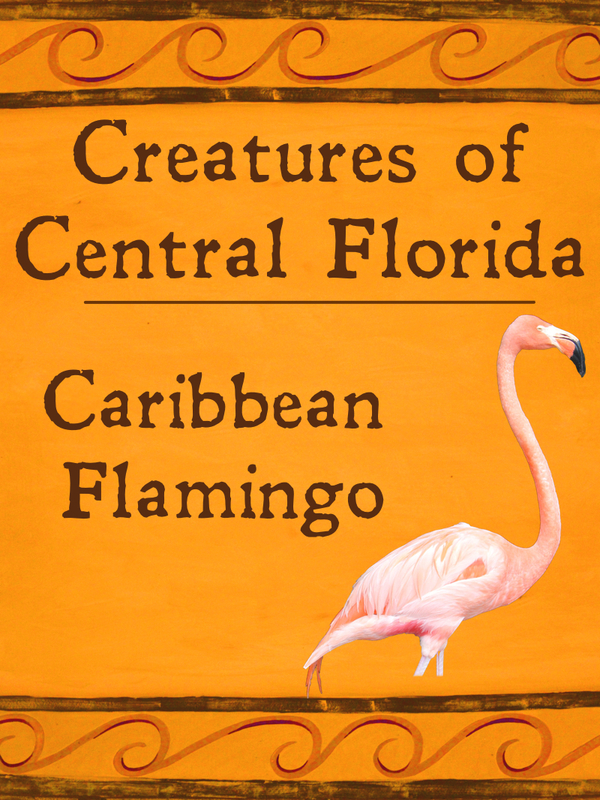 Caribbean Flamingos are a major symbol of Florida, with a town even named after the birds. However, finding these stocky creatures in the wild is not a common occurrence. While small breeding colonies existed in Florida a few hundred years ago, today they only occasionally migrate this far North. 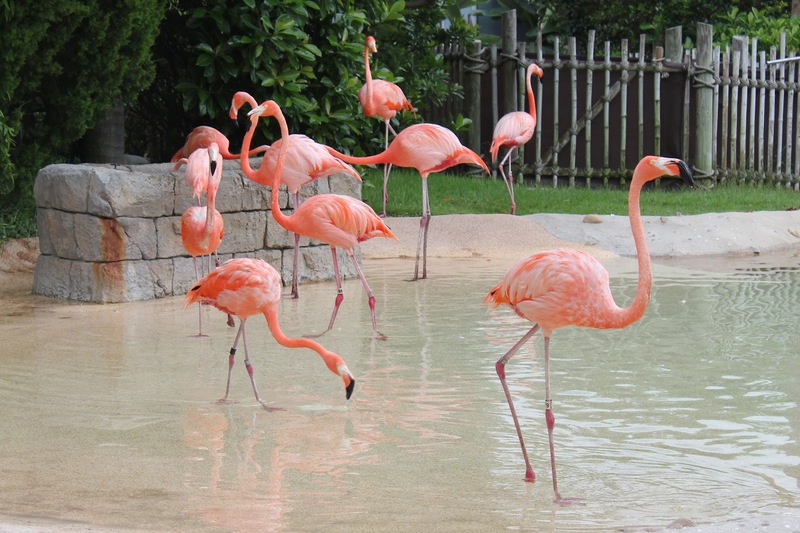 You're more likely to see escapee flamingos from zoos or private collections. 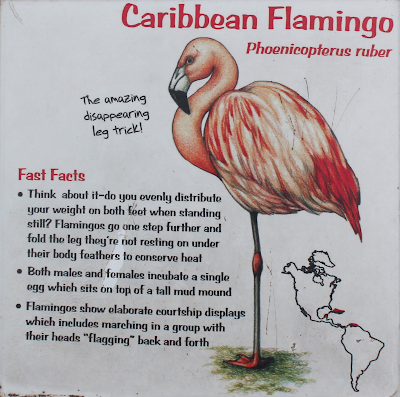 If you do spot these birds, it will most likely be along a shallow lake or lagoon, including areas of the Everglades. 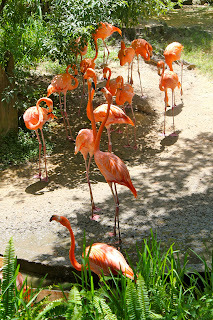 Flamingos are born white and fluffy, and only gain their shocking pink color from the food they consume. Caribbean Flamingos are hard to miss, as they are one of the largest species of the bird. They live in large colonies that can even number over a thousand. The most likely place to see Florida flamingos is in captivity. At SeaWorld Orlando, a large flock of these birds can be found near the Key West section of the park, noisily sounding off to passing tourists. Busch Gardens Tampa Bay also has a sizable colony, although these birds are given more room to spread out and avoid onlookers. 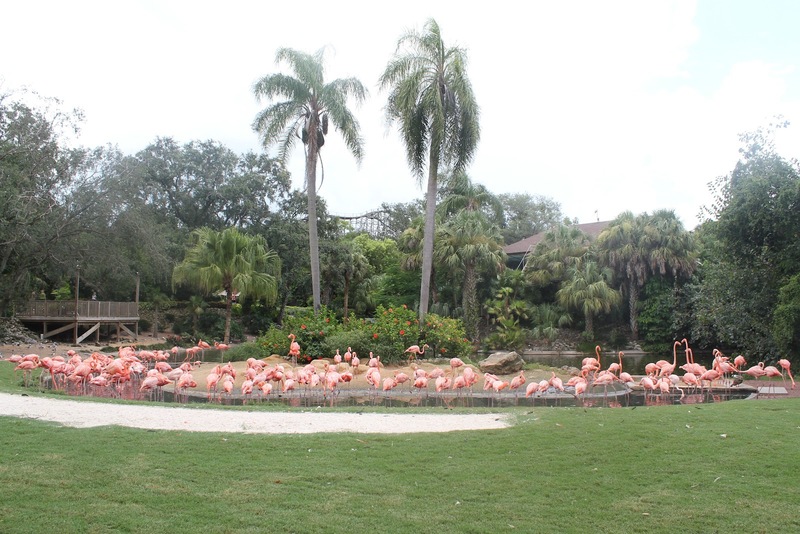 Tampa's Lowry Park Zoo also has its own collection located along the Florida Boardwalk. 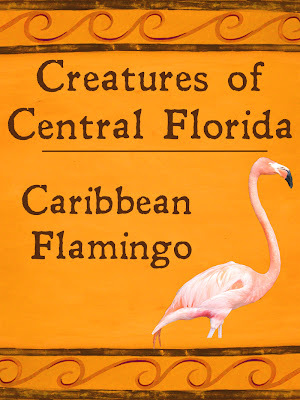 Additional information can be found on Sea World's Animal Bytes entry for Caribbean Flamingos and on Lowry Park Zoo's page for the birds.